I love tiny pets - rabbits, ginea pigs, cats, small dogs etc. Our home has a desexed male bunny named Pepito who lives inside in his own room and hutch. He loves to interact with other pets, but if you’re pet is unfamiliar with rabbits he is safe from harm in his own space. My home is a 2x2 with front and back courtyards. 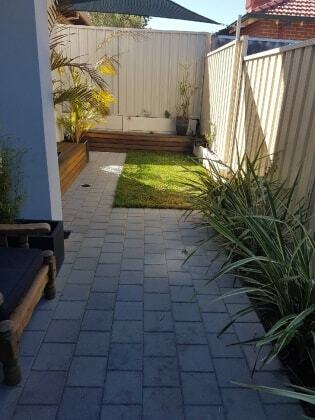 The rear courtyard has grass and I am close to the river for walks. There is a small sized doggy door for access to the back courtyard. Pets sleep inside at night. My home suits small pets that are house trained as furry guests are allowed to roam free inside and outside. I love small dogs, cats, rabbits and guinea pigs, I have an additional rabbit / guinea pig cage available, but can take other small animals if they come with their own appropriate housing i.e. mice, rats or birds. My home does not suit dogs who tend to bark constantly due to closeness of my neighbours. I like to go to Riverside Gardens on the weekends so please let me know if your dogo is ok with other dogs, on/off lead etc. I work office hours, home in the evenings and provides your pet can use the doggy door they have free range inside and outside all the time. Thank you for your care of our precious family pet. He’s a little character that clearly loved his own holiday! Jassie was amazing, she looked after my dogs over Xmas. Made me feel at ease knowing my dogs were in very safe hands! Great communicator and great care, went above and beyond to pick up the pets and drop off too, Would highly recommend. I don't have any specific skills or qualifications relating to pets... my mum was a vet nurse and I litterally had every pet growing up from snakes and kangaroos to your garden variety cats and dogs. I have informal qualifications in cuddles if that counts.